The application currently has a pre-activated storefront theme and a selling theme for the merchant landing page. You don’t have to do anything other than change content, we’ll add more theme soon. 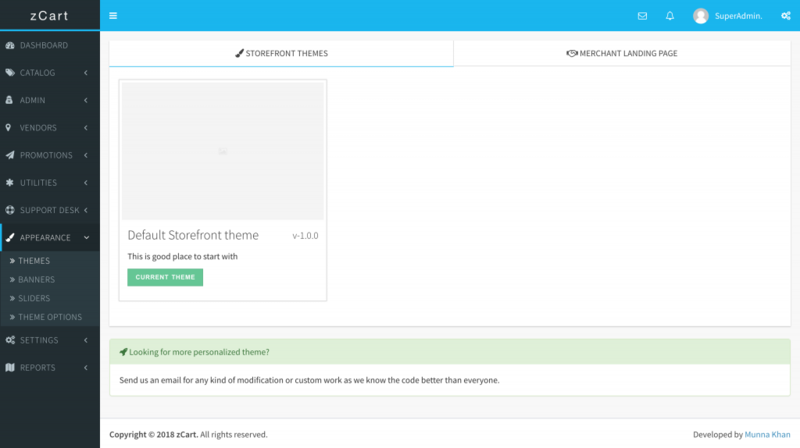 You can preview the storefront theme HERE and the landing page HERE. Also, you can navigate to the storefront and click Sell On zCart from the top navigation panel to merchant landing theme.